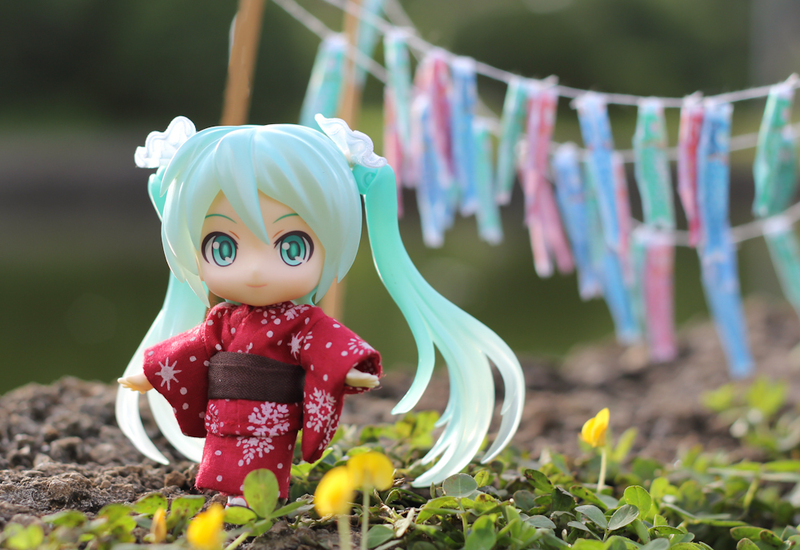 Anyway, it might be a bit late to post these adorable Nendoroid Miku Hatsune Append, Saber Lily and Honma Meiko (Menma) photos celebrating Children’s Day. Better late than never right? 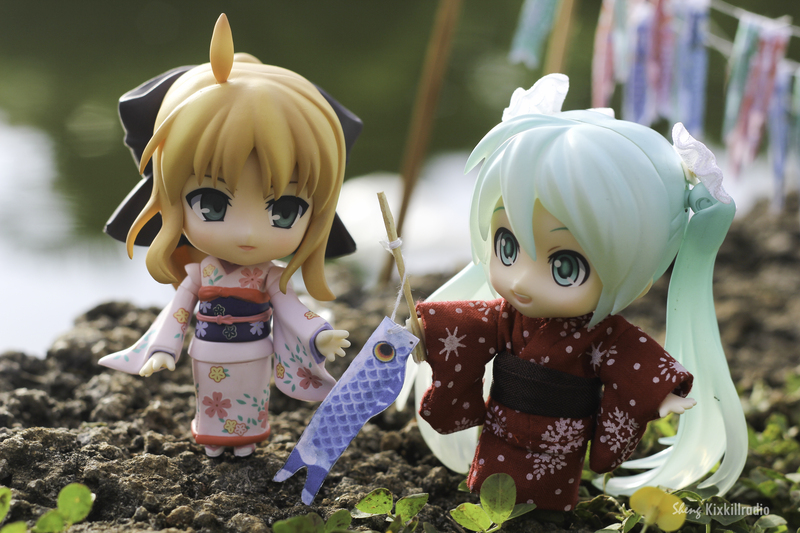 Children’s Day in Japan is celebrated on May 5, a national holiday that takes place annually. 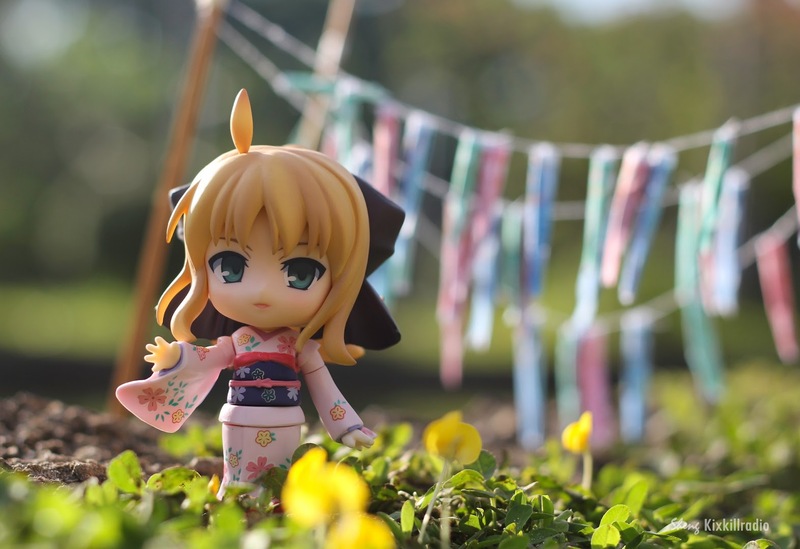 I decided to make a koinobori props for this photo shoot. 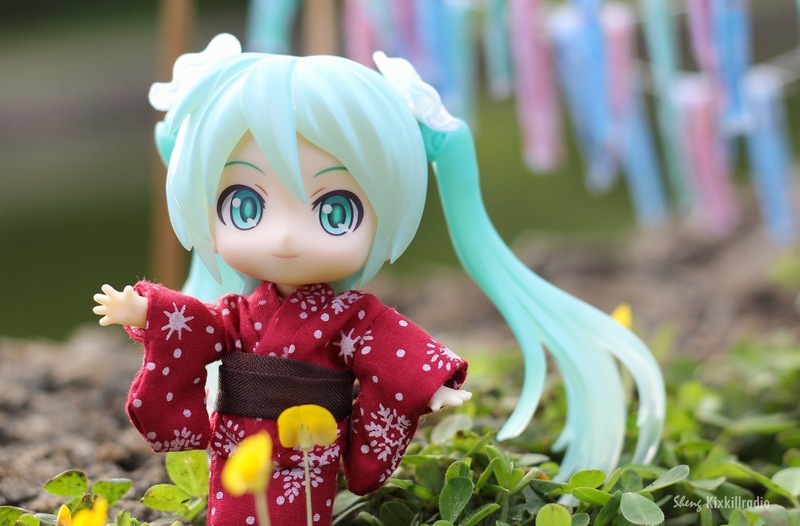 Miku is wearing a yukata which is originally from an old doll I bought. 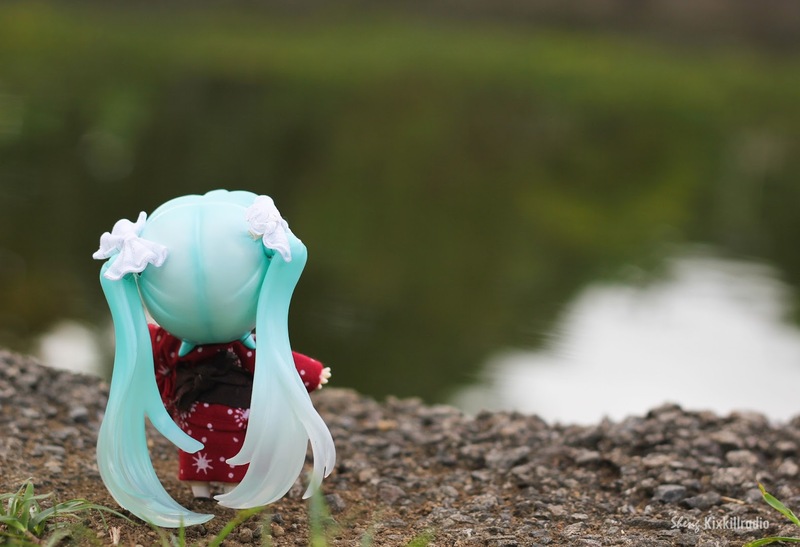 I hate this faceplate of Miku Append, it looks like a bootleg. Ugh! 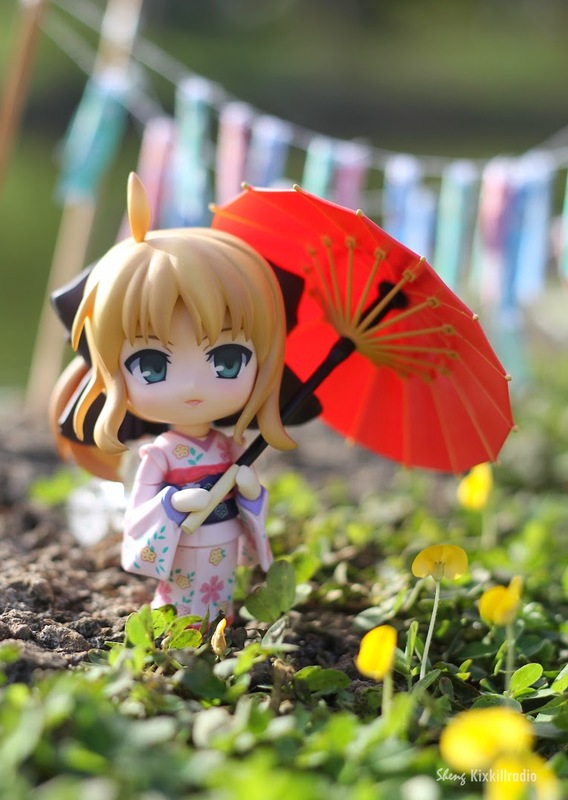 I bought Nendoroid Saber Lily recently and she’s really beautiful. This faceplate of hers is my favorite. 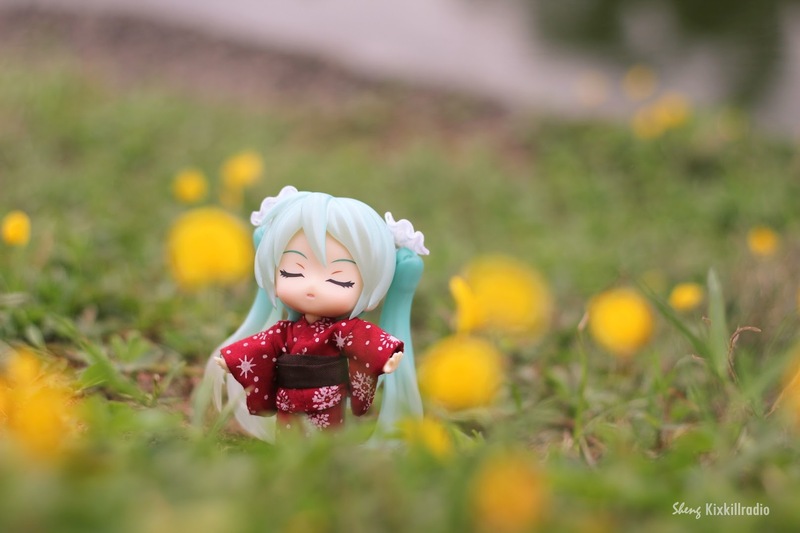 I still have a couple of ideas for next toy photography project. I woke up early this morning to go to the nearest Community Park, 20 minutes away from home. I originally planned to shoot last Friday, but I had to go somewhere else for my family. I didn’t want to go there on a weekend because I know there will be a lot of people. Nice job with the streamers, great photos. must have taken a lot of time to do, but definitely worth it! I was working on the streamers for about a week (only when I feel like it). 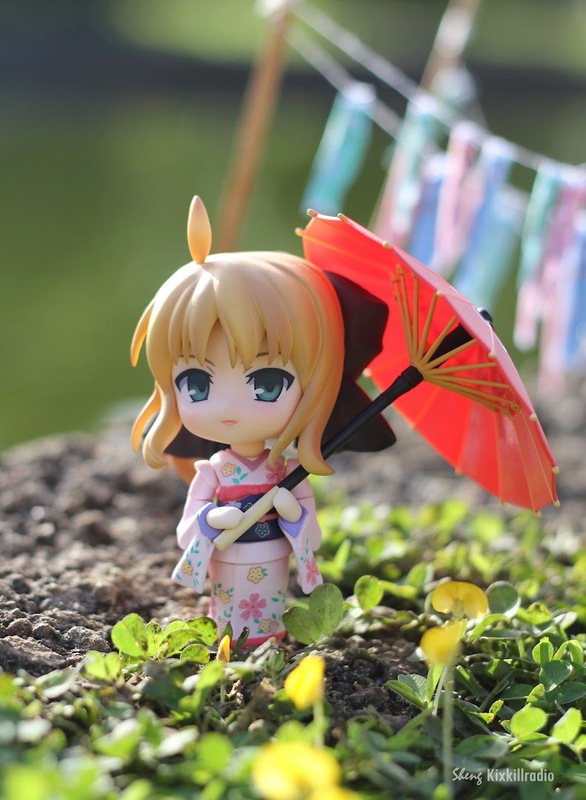 It’s never too late for adorable photos of nendos! =3 Nice carp streamers btw! Thank goodness the knock isn’t something serious. Props to you for such a nice set up! You inspire me to try making some props for my stories. 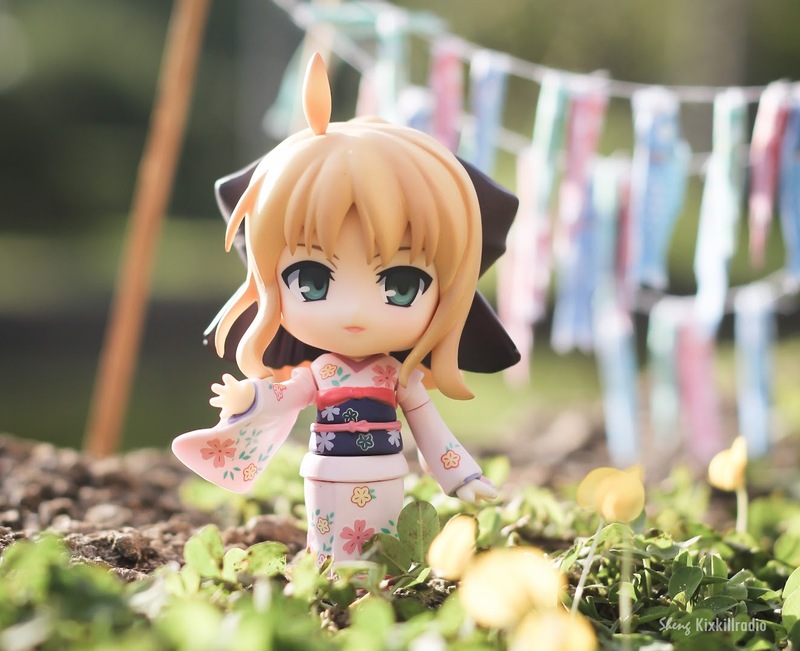 Stellar photoshoot btw, I just want to know how you made Saber stand on her own? I can’t seem to find hook wires in the local malls. Will floral wires suffice? Thanks again for the tips and inspirations! Yes I will be careful next time and will always keep an umbrella inside my bag. Since Saber is using Yune’s body, i still used it’s stand (without the base). I just tried to hide it through different angles so that it won’t be that visible in the picture. 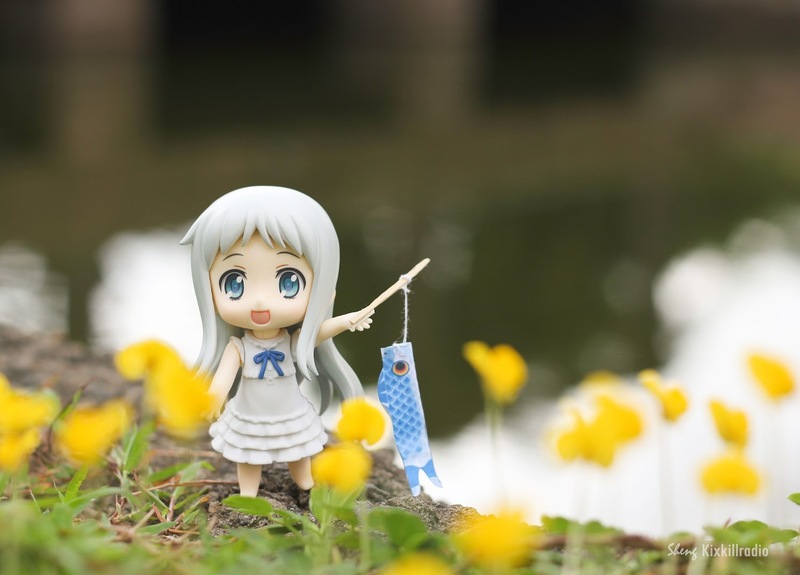 Great photos with cute nendoroid. Hi I just saw your comment today.